October 31, 2016: Vice Admiral GS Pabby, AVSM, VSM has assumed charge as the Chief of Materiel, of the Indian Navy today (31 October 2016). The Admiral is a graduate with Honours in Mechanical Engineering and MTech in Systems and Controls from IIT Mumbai. During his illustrious career spanning over three and a half decades, the Admiral has served onboard a wide range of front line ships including Russian Petya class of ships, Russian Kashin class Destroyers and indigenously designed and built Delhi Class Destroyers. He has done a variety of challenging jobs in the Naval Dockyard Mumbai, covering almost all facets of complex engineering functions related to major refits and upgrades of ship board equipment and systems. He has also been associated with planning and creation of new infrastructure in the Dockyard. On promotion to the rank of Rear Admiral in December 2009, he was appointed as the Chief Staff Officer (Technical) at Headquarters, Western Naval Command and later moved to Naval Dockyard Visakhapatnam. As Admiral Superintendent of Naval Dockyard Visakhapatnam, the Admiral was responsible for the major refits of all ships and submarines on the East Coast and a number of mid life upgrades of ships and Russian submarines were carried out under his stewardship. The Admiral was later appointed as Director General Naval Projects at Mumbai, where he oversaw the construction of the new dry dock, which would be the largest Naval dry dock. In recognition of his distinguished services, the Admiral has been awarded the Vishisht Seva Medal and the Ati Vishisht Seva Medal. 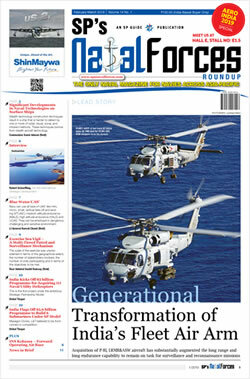 The Flag Officer has been the Controller Warship Production and Acquisition prior to taking over his current appointment and has closely worked with various Defence Public Sector Undertakings in improving procedures and productivity to enable timely delivery of ships and submarines under construction. 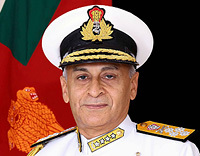 The Admiral has also interacted extensively with various professional bodies and the Indian Industry on the policy and procedures to encourage the participation of the Indian Industry, particularly the Micro Small and Medium Enterprises, in construction of equipment for ships and submarines for the Indian Navy. As a Principal Staff Officer and the senior most Technical Officer in the Indian Navy, the Admiral would be in charge of all aspects related to selection, induction and maintenance of all types of equipment and weapon systems for ships and submarines. Creation of major marine and technical infrastructure and all logistics management functions of the Indian Navy would also fall within the purview of the Admiral. 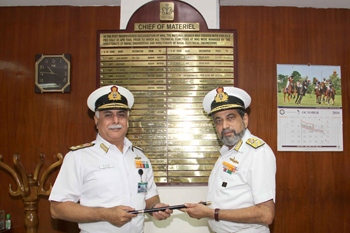 He relieves Vice Admiral AV Subhedar, PVSM, AVSM, VSM who is relinquishing active service on completion of an illustrious Naval career spanning over close to four decades.